Beautiful design Ultra heavy feel super super soft. Don't get fooled by the cheap embroidery by our competitors. Ours is embroidered fully across the top sheet as well as the pillowcases. Ours is a natural 350 thread count sheet not some over-exaggerated inflated number to sell a product. 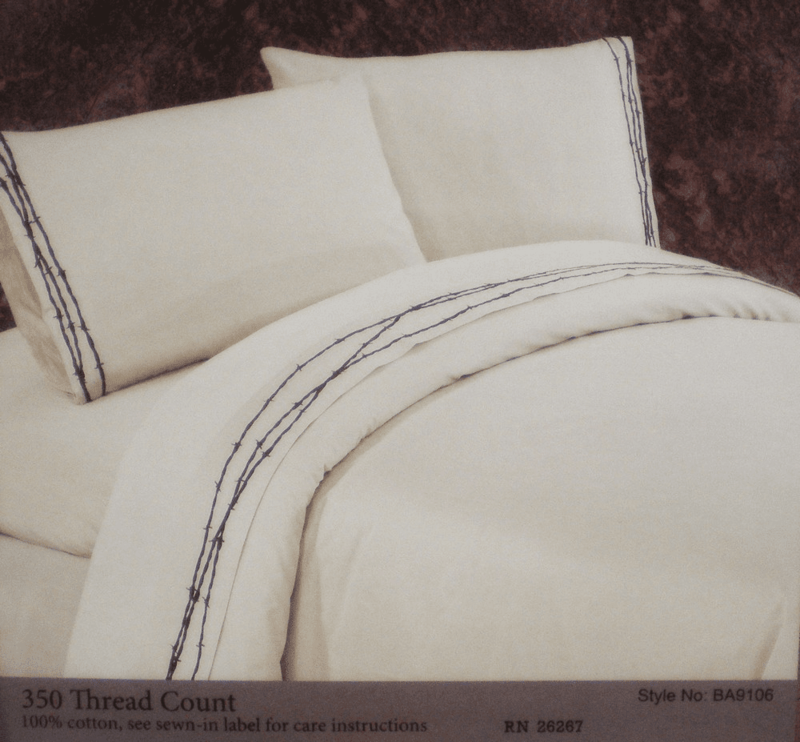 Ultra Plush deep pocket, 350-thread count Barbwire Sheet Set has embroidered barbwire edge on soft 100% cotton and goes perfectly with any Rustic Bedding. Sheet sets include a fitted sheet, flat sheet, and two 20" x 30" pillow cases (twin has one, king has two 20" x 40" king cases).